It is estimated that invasive breast cancer affects 1 out of every 8 women in the U.S.
By the end of 2016, the American Cancer Society project that there will be a diagnosis of about 246,660 fresh incidents of invasive breast cancer. The organisation also project that an estimated 40,450 women will die from invasive breast cancer by the end of 2016. The key to successful treatment of cancer is early detection, it has now become absolutely necessary for women to know the signs of invasive breast cancer from its inception and seek out medical attention early rather than battling the latter stages of the disease when it would have been too late. 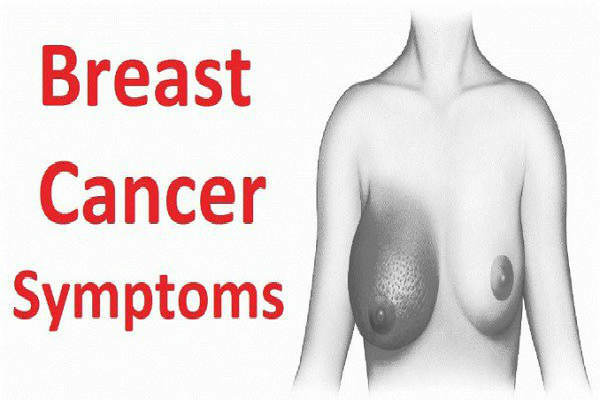 of invasive breast cancer that all women should be aware of.. There is a direct correlation between moles and skin cancer and now they have been seen as an early indicator of breast cancer. In a study conducted on 89,902 women between the ages of 40-65 years and over an 18 year period. Scientists had taken note of the number of moles each woman had prior to the study. It was discovered that during the study 5,956 subjects had breast cancer and the research showed that women with moles had a 13% risk of developing breast cancer than those women that had no moles on them. Where there is a spread if the breast cancer to the lungs, this can lead to persistent coughing and a hoarseness of the throat. It is statistically stated that in about 60-70% of cancer patients, the breast cancer metastasizes to their lungs causing dry cough and a shortness of breath. In patients with breast cancer there could be a change in their hormones which leads to the drying of their urethra and causes incontinence. This may involve the leaking of urine when laughing, coughing, exercising and even sneezing. The person may also have an urgent need to urinate and the urination takes longer than usual. See your doctor if you notice these symptoms. Being tired and fatigue is quite common in most cancers. The feeling of being tired all the time even after a good night’s sleep. The person may also experience depression and pain as well. The fatigue is not caused by physical exhaustion but by a chemical imbalance in the body which is caused by the cancer. Back pain affects about 8 out of every 10 people, however it has been discovered that breast cancer can also be responsible for that niggling backache. In breast cancer related back pain the person feels pressure on their spine and ribs as well as pain in their upper back. It may appear as if the pain is from the bones, which may also mean that the breast cancer may have spread to the person’s bones. This post was republished from healthyfoodstar.com. You can find the original post here.